Chris Froome is "relieved to get the Paris-Roubaix stage" behind him so he can focus on the mountains and a fifth Tour de France title. 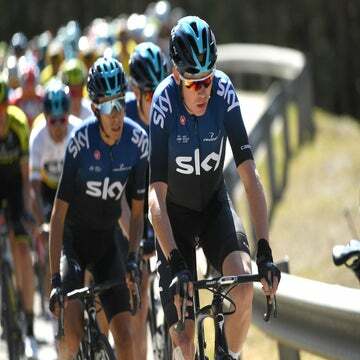 ROUBAIX, France (VN) — Chris Froome is “relieved to get the Paris-Roubaix stage” behind him so he can focus on the mountains and winning a fifth Tour de France title. Froome crashed once today in the rough and dusty cobbles of Northern France, the roads that host the Paris-Roubaix monument every April. He rebounded and joined the lead group, even gaining time on rivals Romain Bardet (AG2R La Mondiale), Mikel Landa (Movistar) and Rigoberto Urán (EF Education First). “I’m relieved to get the stage behind us now and really looking forward to getting into the mountains, where the real race will start. 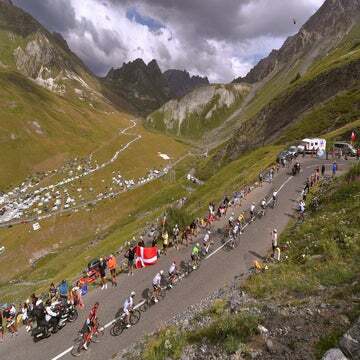 I hope to come into mountains swinging,” Froome said. Froome and teammate Gianni Moscon crashed with around 45 kilometers remaining, entering the Mons-en-Pévèle, sector eight of 15. Sky had been leading the charge for most of the important sectors with Michal Kwiatkowski, Luke Rowe and Egan Bernal. “I was directly behind Froome, I saw Gianni go down, I just got around him, I kind of stopped, but got going quickly,” Geraint Thomas added. “I had a bit of a gap, but that was all right. It was unlucky to lose Gianni to that crash, Kwiatkowski to another, and Luke puncture, all within two sectors but that’s the way it goes. Greg Van Avermaet (BMC Racing) continues to lead the race with Thomas in second at 43 seconds. Froome is eighth at 1:42. The others lost some time, with Urán losing over a minute to Froome’s group. Australian Richie Porte (BMC Racing) crashed early and abandoned the race. “I think most of the GC guys are there, obviously Richie was the most significant GC guy, and it’s never nice to see a mate go down like that, so thoughts go out to him today,” Froome added. After the rest/travel day 800 kilometers south to Annecy, the Tour resumes with three stages in the Alps.